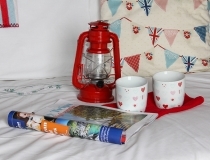 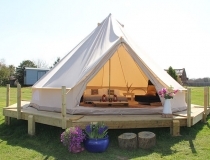 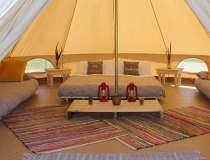 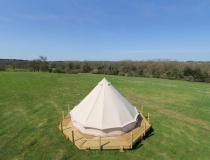 to our beautiful Bell Tents and our cosy Camping Cabins, there’s glamping to suit all budgets. 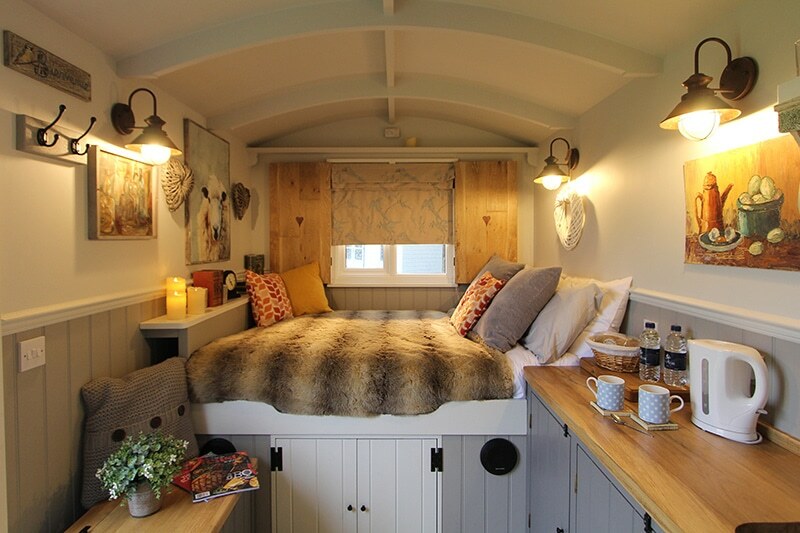 If you’re after a spot of luxury on your glamping holiday then one of our shepherds huts is perfect for you. 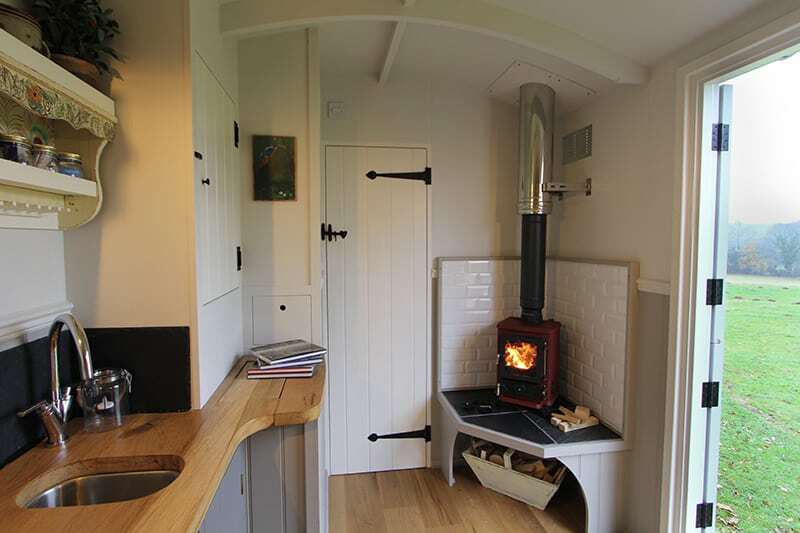 Providing you with a sumptuous double bed, soft furnishings, a gorgeous wood burning stove and a small kitchen area, ideal for preparing breakfast or whipping up a quick meal. 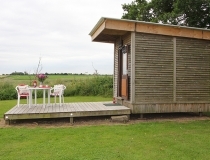 We also have huts with an additional single bed or the ‘Three bears hut’ containing you guessed it, three single beds. 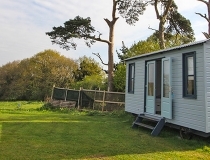 In total, we have six wonderful shepherds huts situated in two beautiful areas of Top Farm, the Woodland englampment and the Sunset Valley englampment. 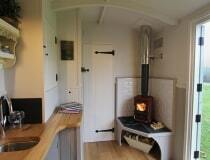 Sleeps 2-3, prices start from £60 per night. 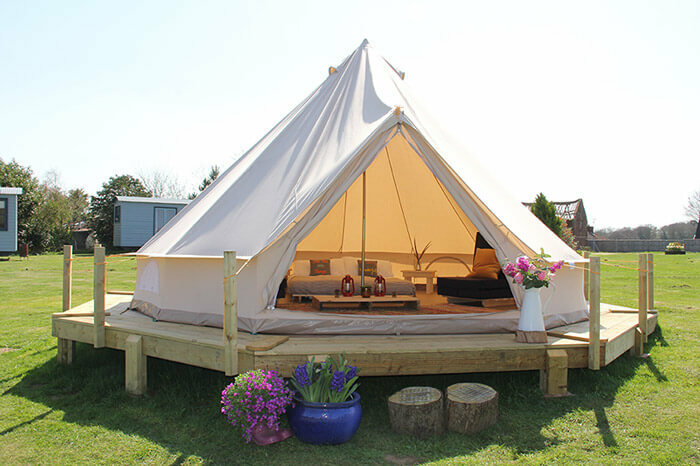 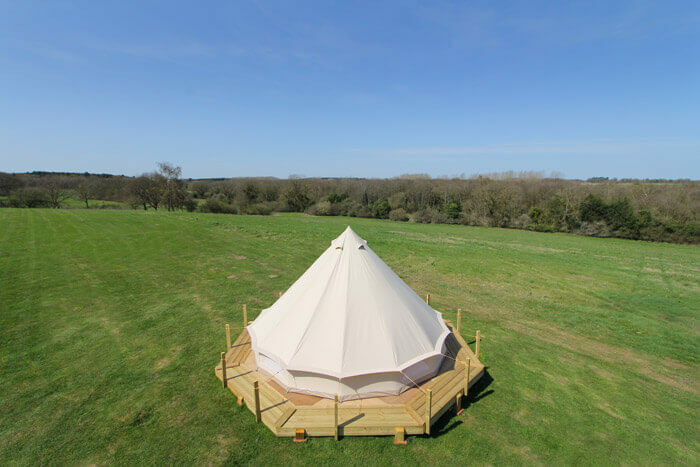 Our spacious, comfy bell tents are furnished with fantastic futon beds including bed linen, duvets and pillows, even the floor is soft cushioned, ensuring you enjoy your glamping experience in comfort and warmth. 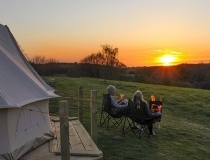 All our tents offer a glorious panoramic view across Top Farm to open fields and distant woodlands, a perfect spot to watch a magnificent sunset. 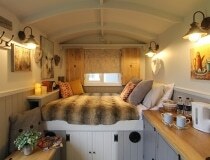 Sleeps up to 5, prices start from £70 per night. 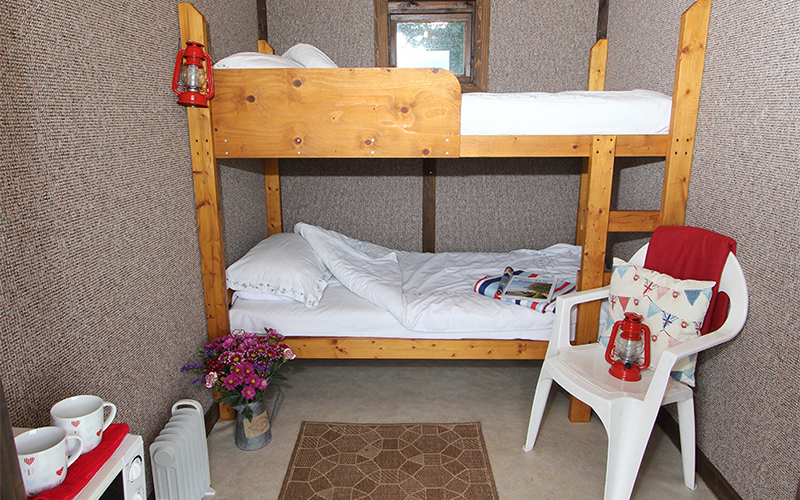 Our cabins are perfect for those looking for a glamping experience on a budget. 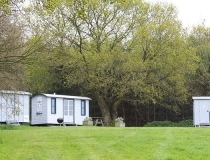 Our cabins are furnished with a double bed or bunk bed, have their own electricity and are equipped with kettle, microwave oven and heater. 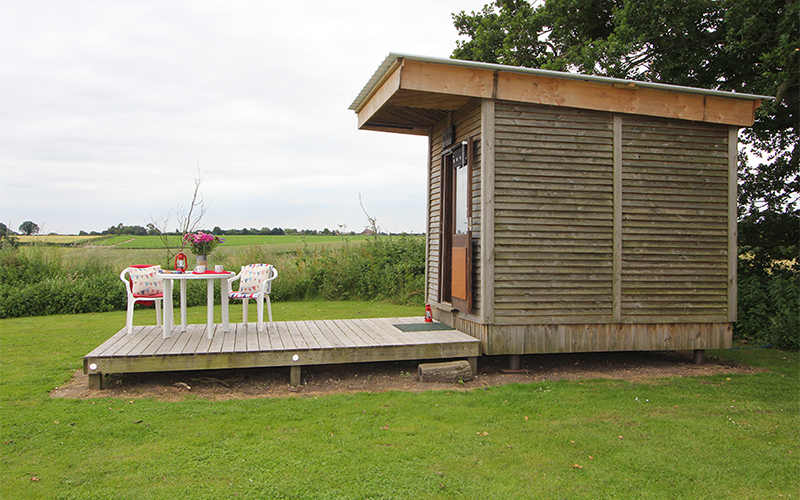 You’ll be able to sit back, relax and enjoy the magnificent views from your own decking area, complete with table and chairs. 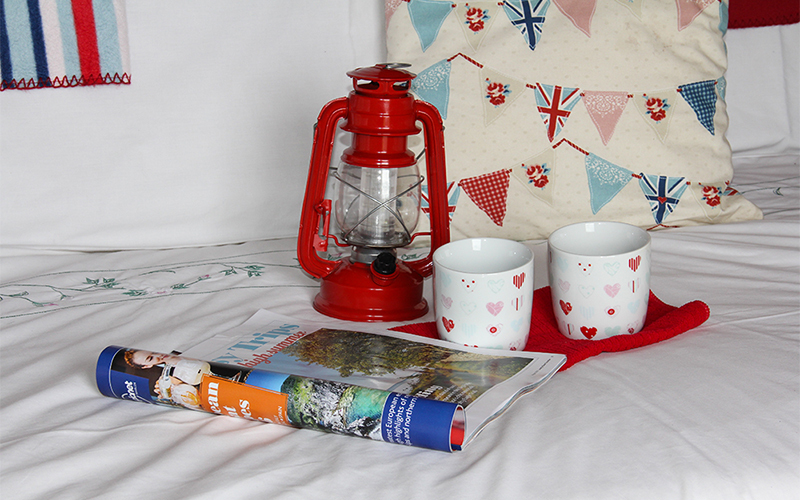 Sleeps 2, prices start from £25 per night.